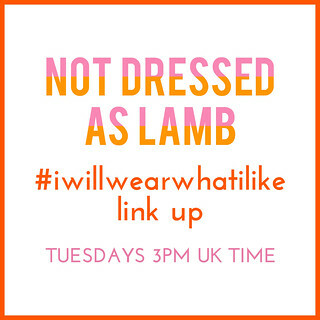 How crazy is this: This is my 100th #iwillwearwhatilike post – it’s been going for nearly two years now…! 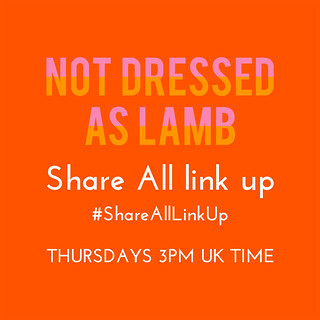 It’s quite apt that today is the link up’s centenary as over the weekend The Times published an article called “What not to do, wear and say over 40: Take the age limit test”. Yes, it was THE TIMES. Not the Daily Fail or The Sun, but The Times. One of the broadsheets, and one that’s (generally) considerably classier than the aforementioned rags. I was very proud to have appeared in their Sunday Times Style magazine a couple of years ago. Anyway I won’t go into that now, I can see it becoming the subject of this week’s Saturday Share post (sign up to my posts by email so you don’t miss it)! So, 100 link ups celebrating women wearing whatever they damn well like, and for the 100th I’m simply featuring what I wore at the weekend. And it’s one of those outfits that you don’t think too much about at the time – sure, I thought it was nice enough – but when I saw the photos I liked it a LOT more. It had some really stylish elements and the colours all worked beautifully together. Isn’t it weird how the mirror does that to you? Just like it doesn’t tell you when an outfit isn’t working, it also doesn’t tell you when an outfit really IS working. 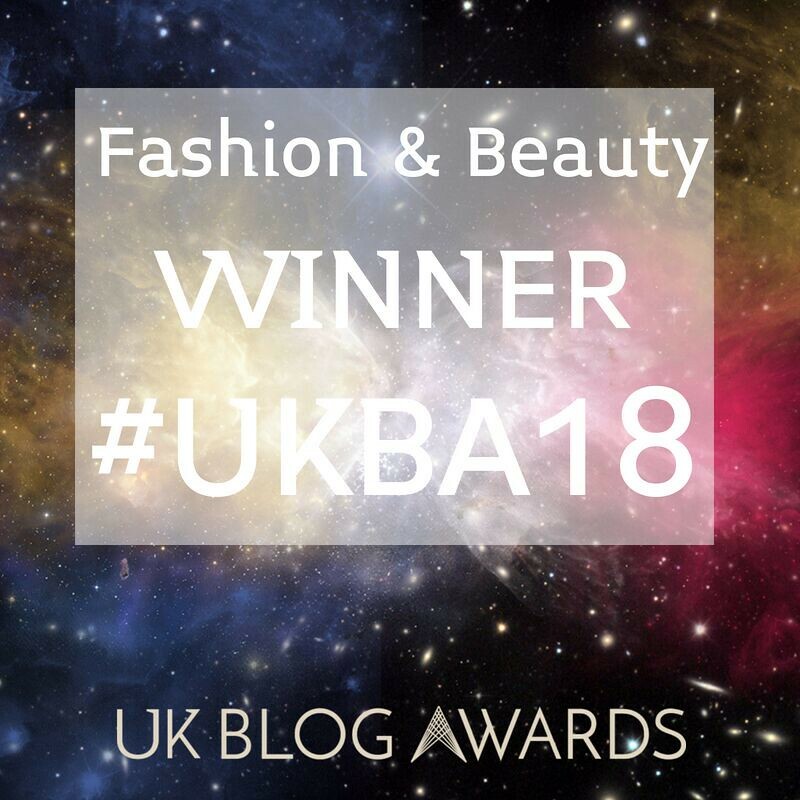 That’s the beauty of fashion blogging – as I said only last week: Trust the camera, not the mirror…! JUST LIKE IT DOESN’T TELL YOU WHEN AN OUTFIT ISN’T WORKING, [THE MIRROR] ALSO DOESN’T TELL YOU WHEN AN OUTFIT REALLY IS WORKING. The trousers are years and years old, but when you’re struggling for clothes that fit you (hello, new eating and exercise regime courtesy of the husband) then you go for the stretchy elasticated ones, don’t you? Thankfully they’re a great contrast to the bold red block heel shoes I was kindly gifted by Lotus – and believe me when I say they are INSANELY comfortable. I have the same shoe in faux black crocodile and they’re so, so comfy. Perfect for a wedding or other summer event when you’ll be on your feet all day. This outfit needed just an extra something, and I tried necklaces but they just didn’t look right. 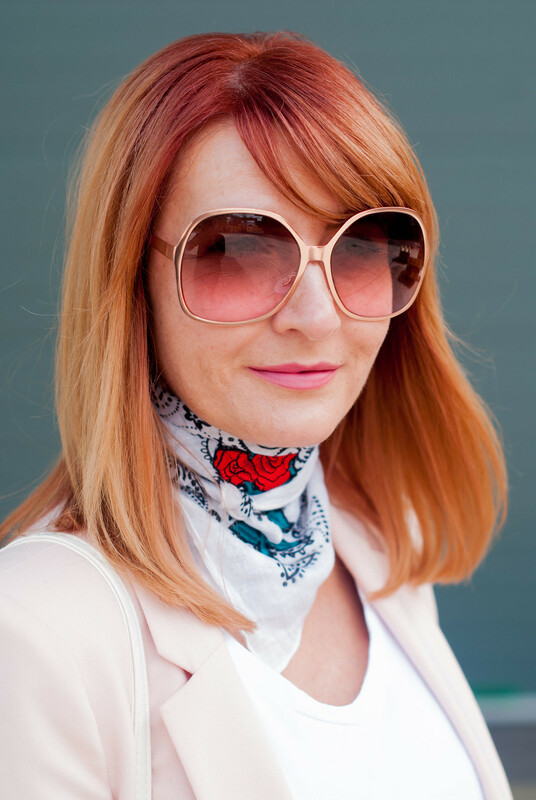 In the end I went for a neck scarf – the red of the heels pick out the red rose in its pattern. I tied it in the way I was reminded about in the 6 ways to feature a bandana article I featured in my unmissable reads post from last week: It’s my favourite way to tie it at the neck. It’s not been particularly hot here in the UK recently – we’ve had a lot of cooler days. It’s still mild, but annoyingly (for someone who loves heat and the summer) it’s been raining and only just about what you’d call warm. I wore the blazer all day and didn’t get hot… That’s the UK for you! 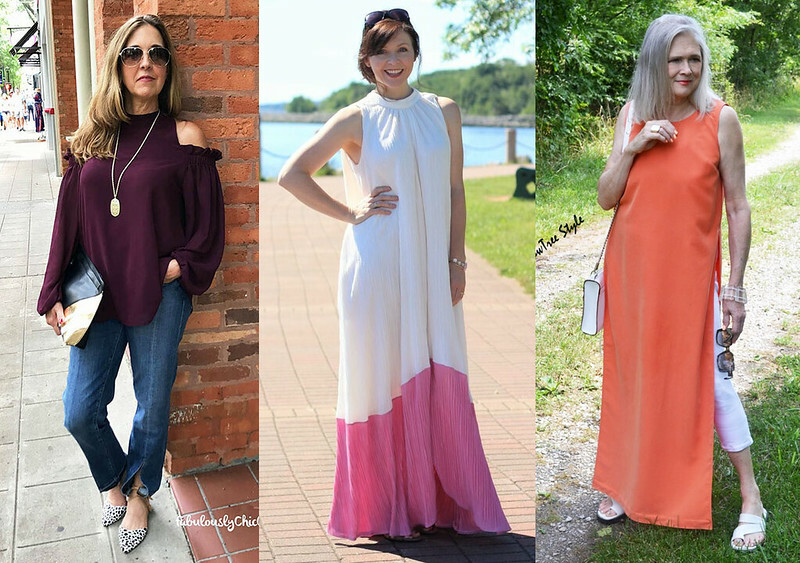 If you haven’t linked up an outfit before PLEASE do so as it’s the 100th #iwillwearwhatilike link up post… As far as I can remember I haven’t missed a Monday yet, but I think this year will be the first I do because Christmas Day falls on a Monday. And that’s the last time I mention the C-word for many months yet, don’t worry…! DID YOU SEE THAT ARTICLE IN THE TIMES? TELL ME IN THE COMMENTS OR TWEET ME @NOTLAMB! Disclosure: This post contains some affiliate links which means if you click through and buy I may receive a small commission. I was gifted the shoes by Lotus Shoes but was not compensated for writing this post (click here for my full disclosure) or under any obligation to blog about them. All content is original, however, and opinions are my own and 100% honest. I love this pretty color combo! Can't believe you've posted 100 linkups! I just recently counted mine up and was over 200. Where oh where did the time go? Congrats! I can't thank you enough for honoring me as one of your Featured Favorites. Your blog exemplifies the highest standards in sharing informative, insightful information and style advice with your many subscribers. You've truly made my day. I must say that I love your pants and the shoes the most. You look gorgeous. Congrats on 100 successful I Will Wear What I Like! It has been fun to join in and a good message to be sending out! I often go back to outfit posts to figure out what to wear to an event because I think the camera is a better report on how it looks! Peace! No, I didn't see the article, but in America we have one saying every time we read or hear something we don't like or disagree with "Fake News!" and this article certainly applies! Ha-ha! Love your shoes and the neckerchief really completes the outfit. CONGRATULATIONS!! 100 eh? That's totally mad. I LOVE it. I also love your outfit. You look absolutely stunning, as always, Catherine. Congratulations on your 100th hosting party. Wow, time flies. So much has happened since you began. You're wearing an awesome colour combination. I love it. Cheers to your next 100 posts. I looked for that article – I'll check on your Saturday linkup again. Of course, I love your outfit, but I still can't stop looking at your hair! Such a gorgeous color! Congrats! 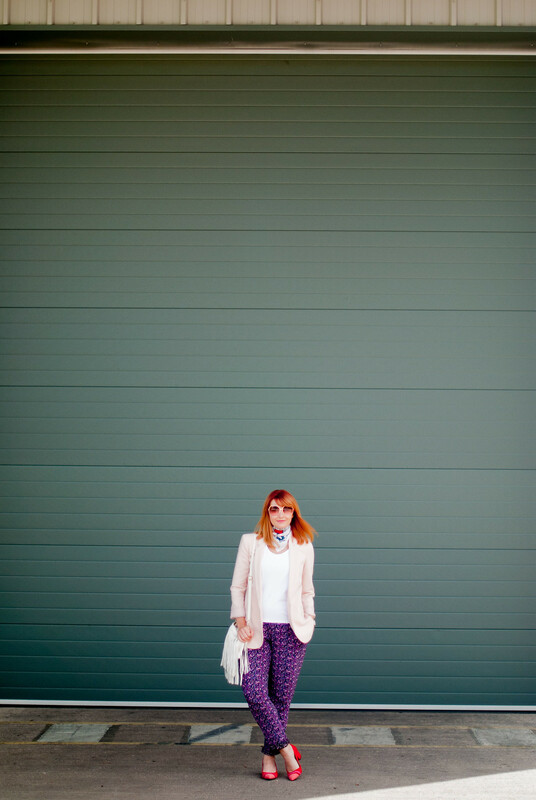 Keep up the amazing work and keep posting your amazing style! Congratulations with the anniversary of I will wear what I like. And with your colourful outfit. That is my girl, the daring colour queen. Keep up the good work. Interesting… Trust the camera, not the mirror! Congratulations on your 100th link up! I didn't see the article in the Times but I can imagine that we've heard it all before and decided to ignore it! Congratulations! Hope you host it for many more! Sending you huge congrats on you 100th #iwillwearwhatilike it takes a lot of work I bet I am right in thinking? I have always loved your blog and style Catherine. Thank you for being bold, bright, fun and unique always, in what you wear! What a great way to wear a pretty neck scarf. 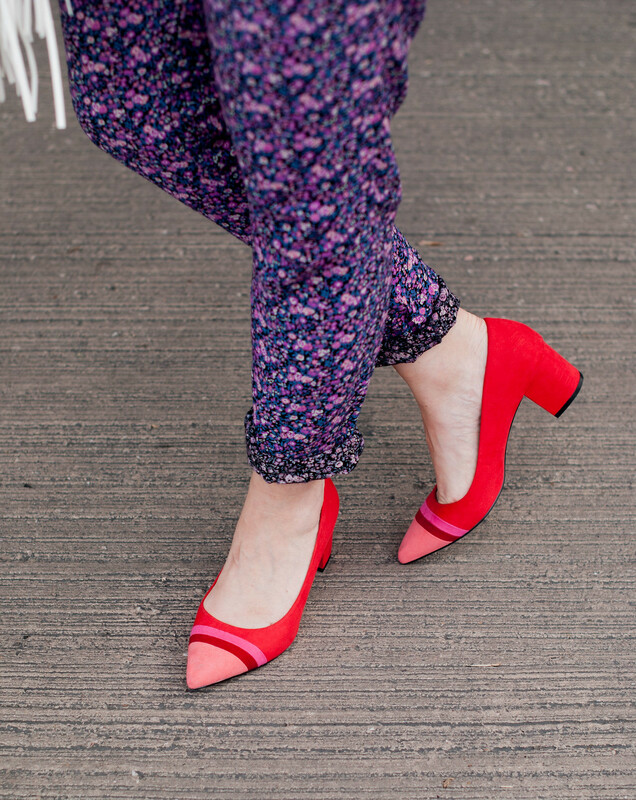 Your floral pants and colorblocked pumps are gorgeous. Times, In Style, Glamour, Baazar and whatnot can never tell us what to or not to wear. Congratulations on 100 successful linkups! Congratulations on your milestone! 100 link-ups Wow! Thanks for keeping us all together. I love your pink blazer. Congratulations, dear Catherine.I was with you from the very beginning and I am so glad to see it grow. Congratulations and thanking for keep us linked up. It's a lot of work and we all do appreciate what you do 🙂 Have a great week! Congratulations on your milestone! Looking lovely in colours to cheer up our British summer. I'm spending my days in swimsuits and shorts, or jumpers and jeans. No just-right days in between for lovely summer dresses and skirts, eh? :-(. 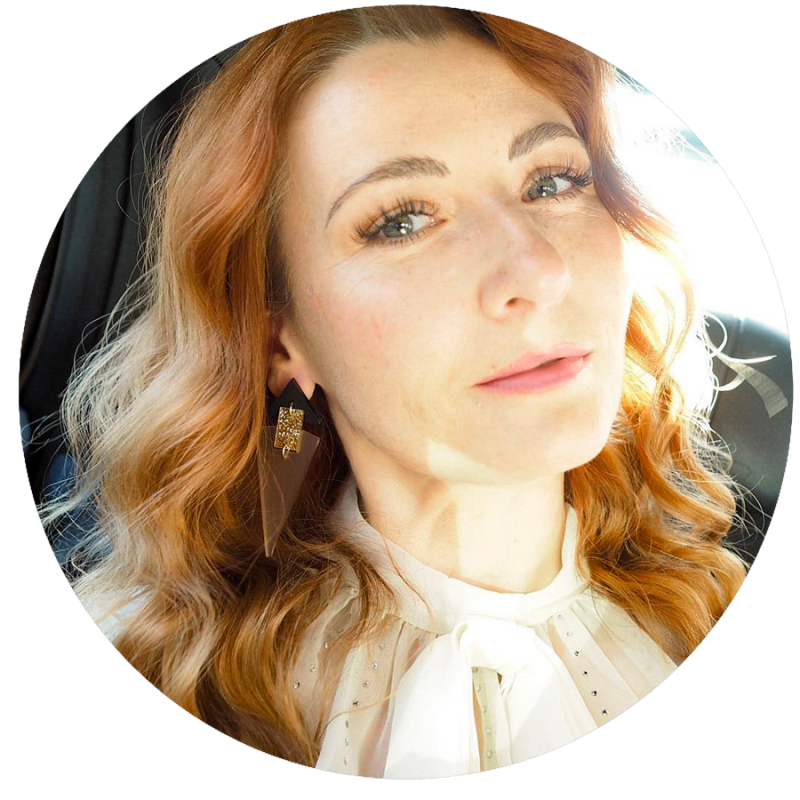 Congrats on 1oo link up posts, and I love that pink blazer , so cute on you! Congrats on the milestone. I was exasperated by the Times article – we still have a lot to do to convince men that we can wear our hair, and anything else, however we want, at any age. congrats on 100 link ups of I will wear what I want. I adore this concept. 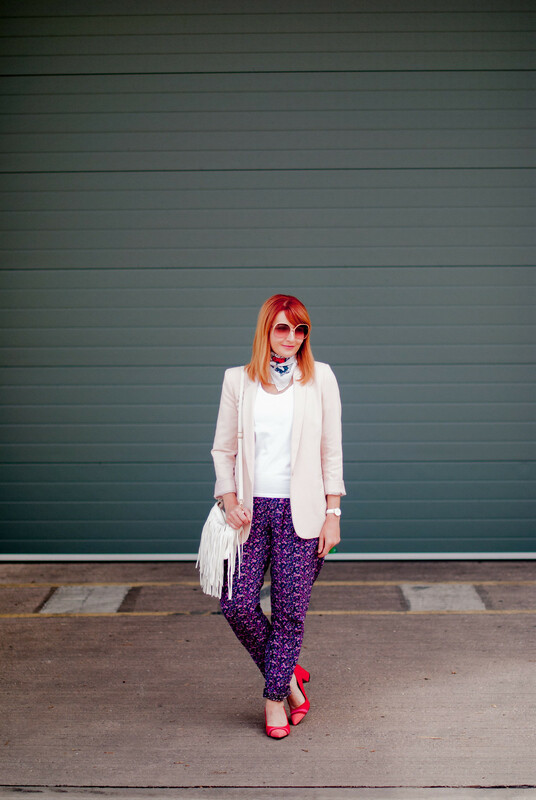 Loving todays look and just catching up on a few older posts. Loved your 6th Blogversary recap. 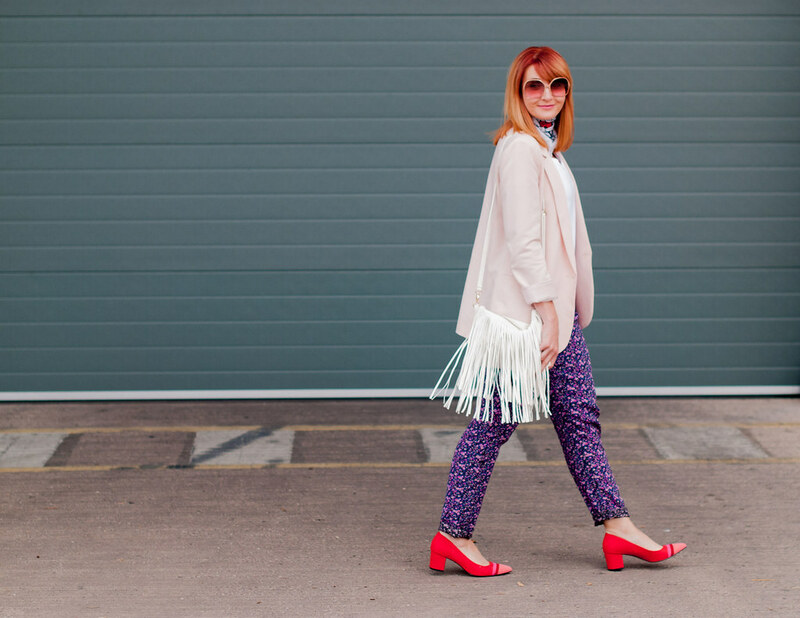 PS A Labour of Fashion goes live every Thursday, would love for you to hop over. I love this color combination, Catherine! !